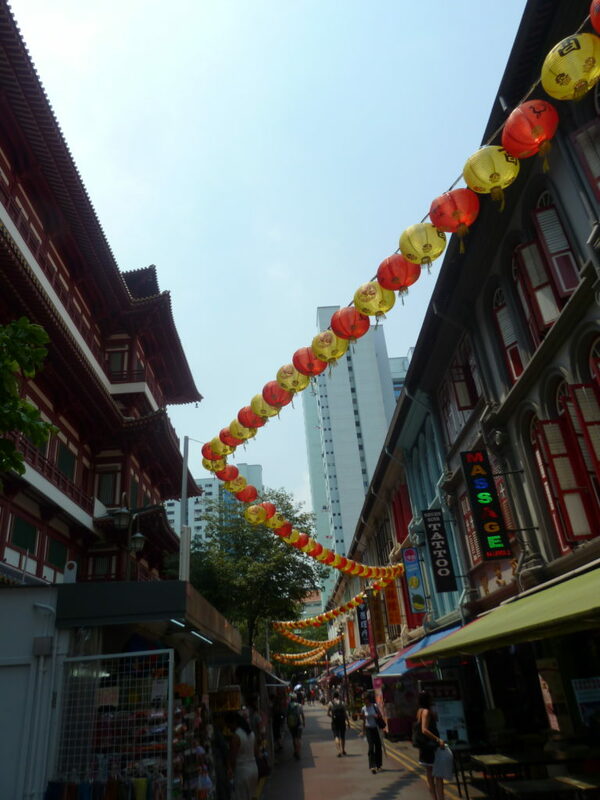 Where the old world is juxtaposed with the new—at the melting pot of tradition and modernity lies one of Singapore’s largest historic districts—ChinaTown. This shot tries to capture the maze of narrow roads that leads one to the dazzling array of shops lining the Food Street, where you’d find a wide range of restaurants serving traditional Singaporean fare. In the background can be seen the towering office blocks, reminding one that sometimes, the old sits pretty comfortably with the new. Have you been to this part of Singapore? What do you think? Singapore is a delightful mix of the old and the new. Almost seamless and entirely magical. I haven’t been to Singapore so far but I’ve heard so much about it. Nice picture, Esha. Went back when I was in college, for a short holiday. It’s one of my favourite cities. I do hope there is always a mix of old and new. I feel we are rapidly leaving behind a quieter time, a less-connected time. Memories and pictures like these are important. I live in Kuala Lumpur and it looks much similar to me. Those narrow paths and dangling lanterns. That’s a lovely one. I would want to visit Singapore one day. I do think it will be similar to Hong Kong but why not another country. I’ve been to China Town in New York and I loved it! All the joss paper, the Chinese temples, dumplings, pawn shops – it felt like a little slice of China had been transported to NYC. Chinatown in San Francisco is great. I have spent a lot of time there. Thanks for hosting and I hope that you have a wonderful week. This looks so beautiful. Never been to Singapore but your pictures make me see the world through your eyes. Love the lanterns. I’ve been to Singapore severa; times as iit is my mother’s hometown. I have to say that I like the old parts better – many memories. I loved the paper lantern chains hanging all over in the streets in Singapore and you have captured that so well in this shot Esha!! Nice contrast between the old and the new. I guess in some ways, you’d see that in India too. I’ve never been to Singapore, but from the image, it feels like both worlds, the modern and old co-exist with ease.